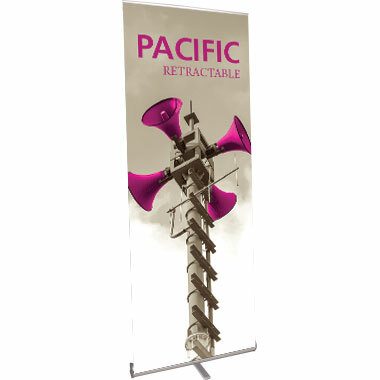 The Pacific™ 800 is a lightweight, affordable roller banner with a slim base making it very compact. A swivel-out foot provides extra stability. 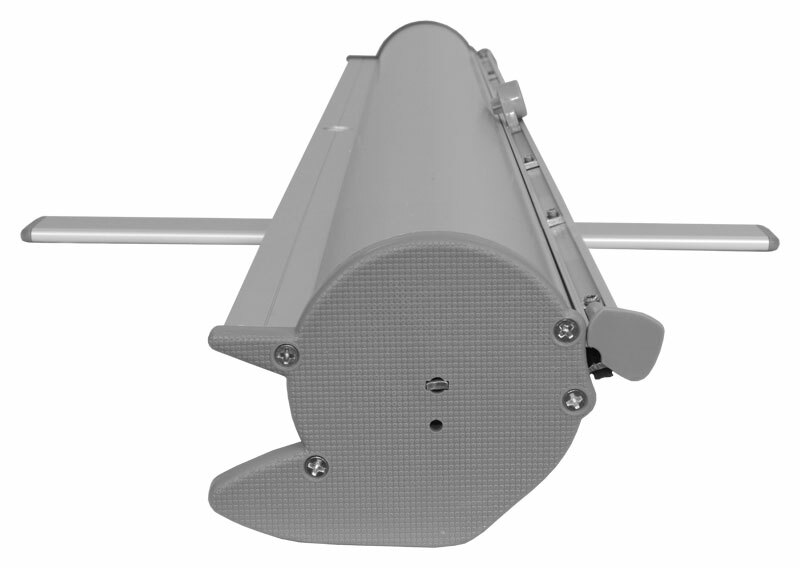 The three-piece bungee pole holds a 31½″ × 83¾″ graphic. The base features anti-slip strips to prevent sliding on smooth floors. A form-molded carry bag is also included. The vinyl graphics provided are G7 certified and printed on state-of-the-art equipment. G7 certification ensures the production of the highest quality, consistent and accurate color graphics. Learn more. The flat shipping rate for this item is $26 USD for standard delivery within the continental United States. Volume pricing is available on orders of 11 or more.